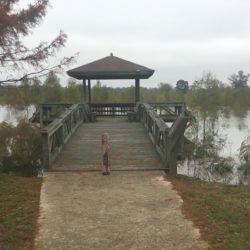 Whether it’s the sights, frights, bites or delights you are looking for, this list will take you across South Arkansas and back again with hidden treasures, belly-pleasing treats and a couple of late night festivities. They will keep you on your toes and discovering everything that makes fall so fun and festive. It’s a list worthy of bucket list status, so get your pen ready and don’t miss out! Take the Talimena Drive starting at the Train Depot in Mena and traveling up to Queen Wilhelmina State Park. Stop by the Studebaker Showroom in downtown on your way up to the Ranger Station. Browse South Arkansas’ biggest garage sale at JunkFest 2018 in Bradley, the first weekend of October. Visit Williams Tavern at Old Washington State Park while you are there for Civil War Weekend Nov. 2-3. Mt. Ida is the quartz capitol of the world, and many roadside stands will let you pick a gem or find a spot to dig for your own. Pond Creek National Wildlife Refuge is an easy scenic drive and includes trails, primitive camping spots, and hunting options with your individual license. Check out Conway Cemetery State Park near Bradley where the first Arkansas Governor is buried. Straddle the line and take your picture in front of the Federal Building and State Line Post Office in Texarkana. Millwood Lake and Lake Ouachita have both been listed in the top 25 Best Bass Fishing Lakes in the Central United States by Bassmaster. Watch some pigskin at the Battle of the Ravine, Arkansas oldest cross-town rivalry where the opposing team walks across a state highway to make their trek to the field. Dare if you may to find the Fouke Monster made famous in the 1972 movie Legend of Boggy Creek (and it’s sequels!). 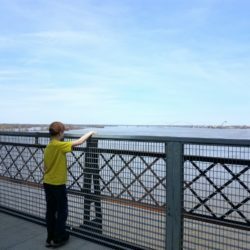 Get historical and walk the sites of the Civil War Camden Expedition which cover seven Arkansas counties. Take a picture in the tall Razorback chairs out front and enjoy a piece of pie at Tab’s in Hope. Bring the kids to play at the MAD Playscape in Eldorado, a 2-acre children’s play area featuring ADA accessible equipment. Avon Cemetery in De Queen is more than a legendarily haunted cemetery. Make sure to take a friend, so you have a witness to what you see and hear! Embark on the Texarkana driving tour and discover little-known facts and historic spots along the way. Start your tour at the Chamber of Commerce on State Line Ave.
Motorcyclists might be interested in the Diamond Run, Crystal Springs Ride, Hamburg Haul, Southwest Trail or Camden Campaign that take in different directions across the South. Eat at Postmaster’s Grill in Camden who has received Wine Spectators Award of Excellence each year since 2014. 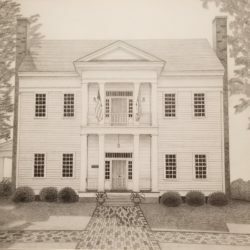 Find the Allen House in Monticello, but watch out for Mrs. Ladell and her son who are known to roam the halls, and cause a little mischief from time to time. The house, dating back to 1905, offers Dinner and Ghost tours this time of year. Explore Lake Greeson Wildlife Management Area near Dierks for their rainbow trout or the Bois D’Arc Wildlife Area near Hope to observe white tails, waterfowl and fishing. 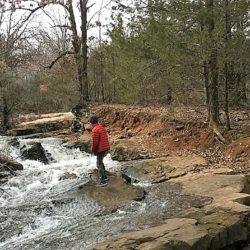 Mountain biking has made its way to south Arkansas, and the Womble Trail in Mt Ida is on Singletrack’s list of most popular rides state-by-state. Dare if you may see if you can find the Gurdon Light floating above the railroad tracks. This lantern carried by a ghost is full of myths and mysteries by those who attend college in Arkadelphia. Dine on the Line is Main Street Texarkana’s Community Table dinner, Saturday, Oct. 6. You might meet your neighbor sitting across the main table from you. Whether qualifying on your own or visiting for the thrill, the Southern Arkansas University Rodeo is an Ozark region qualifying event where points earned keep you on the circuit. Make plans in your schedule to visit a local dinner in your town, like Ranch House Café in De Queen. I always grab the beef stew, chocolate chip pancakes, or hamburger steak. And I never leave without saving extra room for a piece of pie. Those local diners always have the best desserts! Visit the Ouachita Mountains, whether by bike, motorcycle or 2 axle vehicle, slow down and enjoy the view. There really is no place like home! And, if this is not your home, we invite you to visit. The friendships are deep, the family connections strong, events are abounding, history is spine tingling and the cooking, well you’d just be silly to miss that! Cover photo courtesy of Richard Lawry.